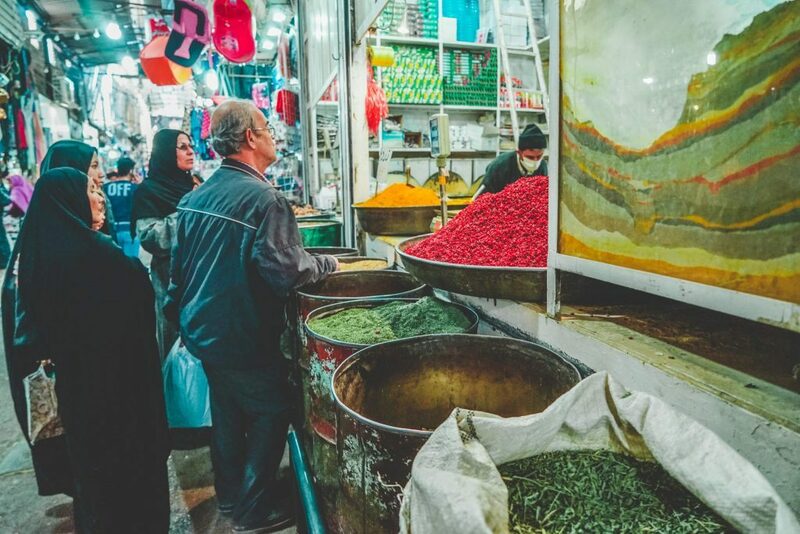 The life and soul of Persian culture for millennia, Shiraz today is one of the biggest tourist destinations in Iran and for good reason, with plenty of culture, archaeology, food and local life to keep even the most jaded travelers interested for a few days. Long famed for the quality of its namesake wine (now banned by the Islamic Republic) Shiraz still has plenty to bring to the table for those who are willing to make the effort to get here. 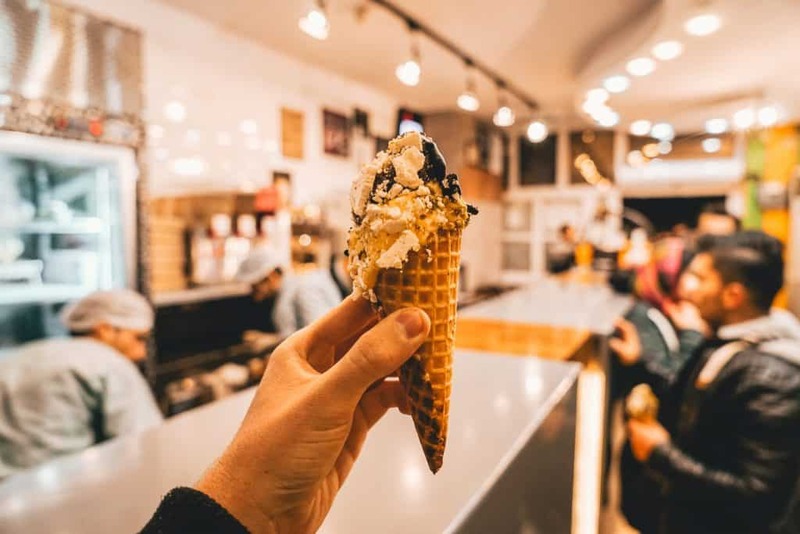 With plenty of students and educational establishments, life is never dull here and if you explore outside of the historic city (especially in North Shiraz) you can find almost a completely different world full of western chains, girls without hijabs and some of the biggest shopping malls in Iran. The highlights of the historic city can be seen in a day if you rush, but other day trips with take a few more days to compete until you have all the highlights ticked off. A smog and traffic-choking city at first site, Shiraz will grow on you when you know where to look and will have you begging for more, and more, and more! While Old Shiraz is a mismatch of historic bazaars, Vakil stands out in terms of grandeur and status. 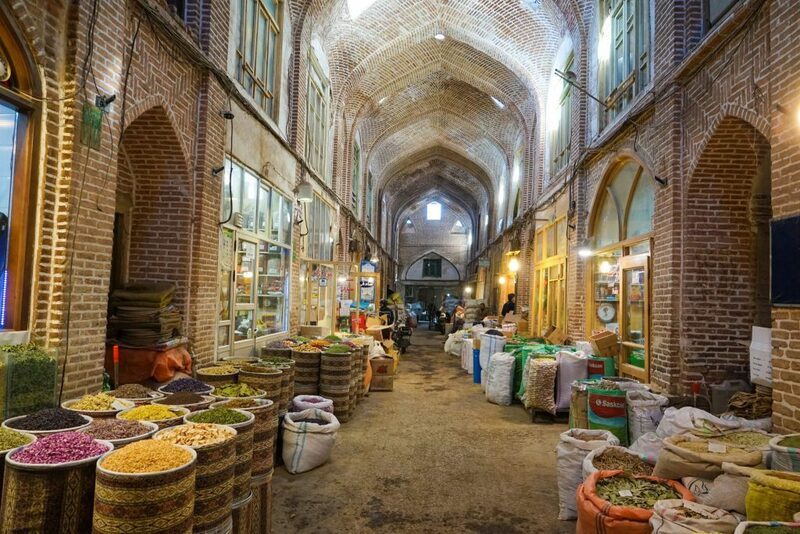 With imposing vaulted avenues filled with over 200 stores selling everything from gold and handicrafts to spices, rugs, and clothing. 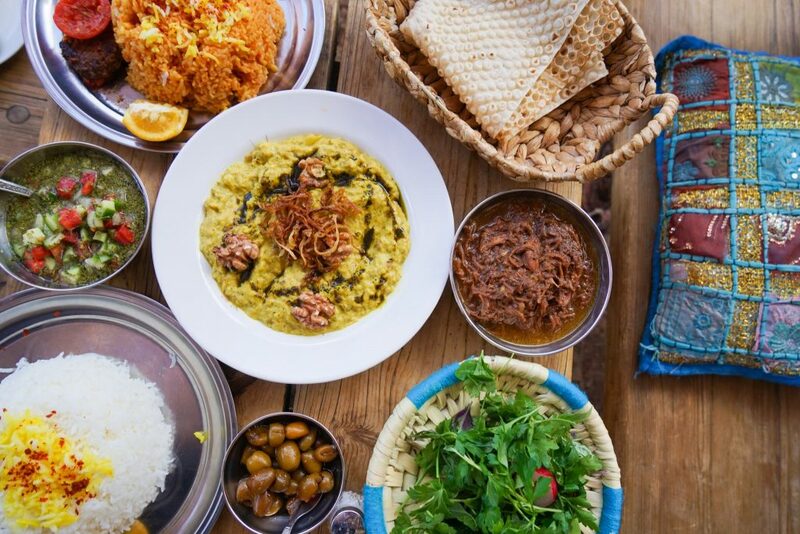 There is a lot to take in here and the Shiraz Bazaar is best experienced – like all bazaars – by walking in headfirst and getting swept away into the maze. 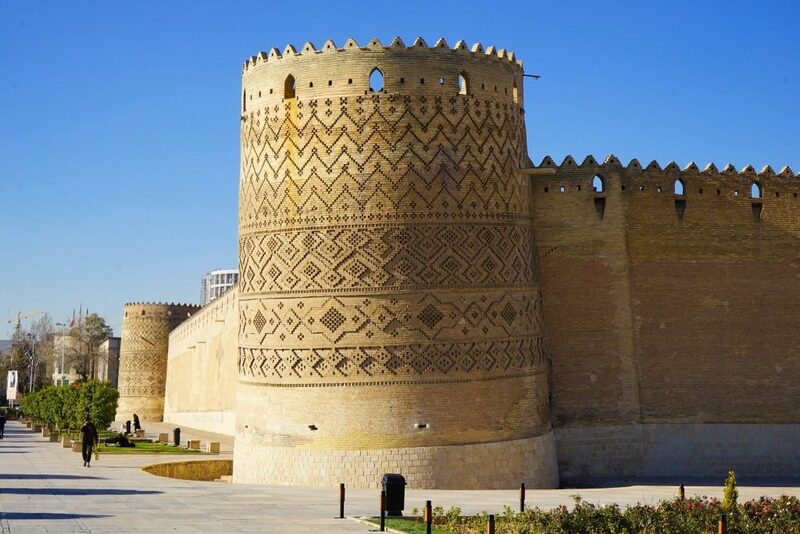 You can’t miss this historic fortress smack-bam in the center of old Shiraz. While it has nothing on the historic sand-castle fortress of Bam further south, there is a certain charm to its beautiful restored turret towers – especially in the right light and the beautiful garden interior. Its best features can be enjoyed day or night from the exterior without paying an entrance fee, but if you do decide to enter you can explore more thoroughly and see the old bath-house. One of the greatest ruins from the ancient world, no trip to Iran would be complete without marveling at Persepolis and it’s many, many sights. Built by architects from all over the first Achaemenid Empire, the scale here defies belief and you can wander for hours and hours and still be totally amazed. Be sure to stay for sunset here and pick out a great spot of Mt Rahmat to watch the entire ruins and desert enveloped in a soft red glow. No trip to Shiraz would be compete without a tour to the inspiring Persepolis! 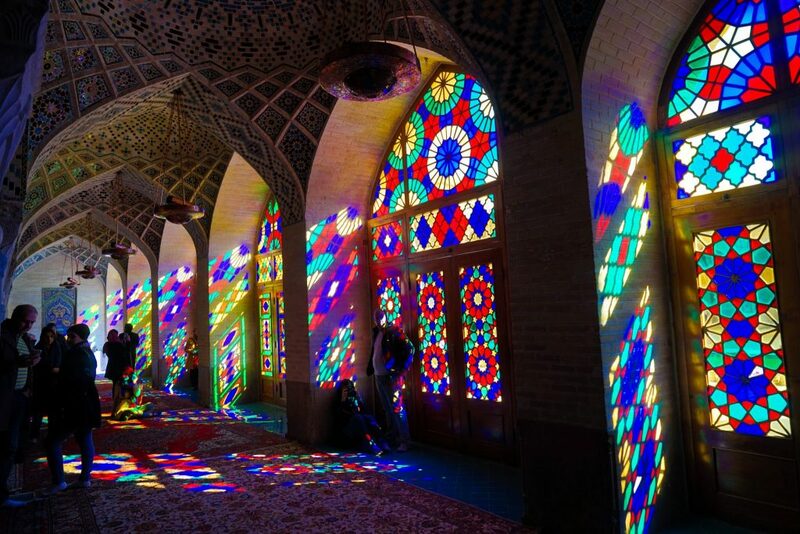 Probably the most famous Mosque in Iran – and certainly the most photographed, the Pink Mosque of Shiraz is reason alone to visit Shiraz and does not disappoint. Best viewed just after opening when the rainbow shadow stretches all the way across the room – though be prepared to fight the crowds for the perfect photo. While the kaleidoscope of color at the Pink Mosque is the main feature, there is also plenty of other beautiful rooms and details to take in, including a newly added underground storage tunnel that has been renovated and opened. 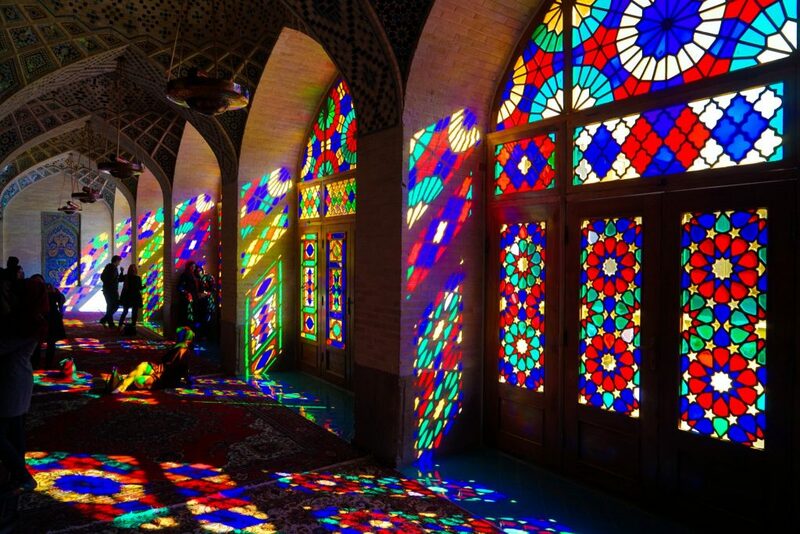 The Pink Mosque of Shiraz is one-thing you cannot miss the chance to see in person! 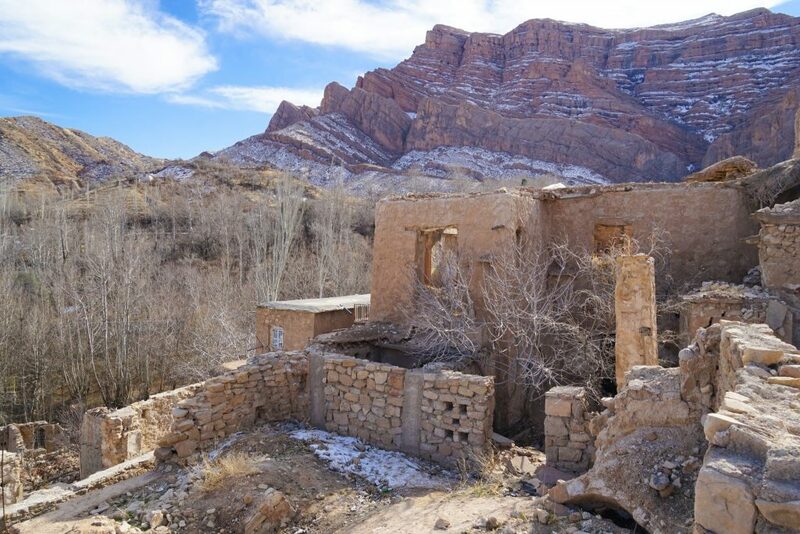 Ghalat (or Qalaat) a crumbling adobe mess of a village on the edge of the mighty Zagros Mountains is slowly becoming a tourism destination, know locally as the ‘Amsterdam of Iran’. While drug cultivation may have taken off in Ghalat the major drawcard is not the smell of weed in the air, but the mountain hiking and delicious food and views. Best avoided on the weekend when visitors from Shiraz make it a bit of a madhouse, you should also not miss the chance to visit Grandma’s House for some of the best food you will eat anywhere in Iran. 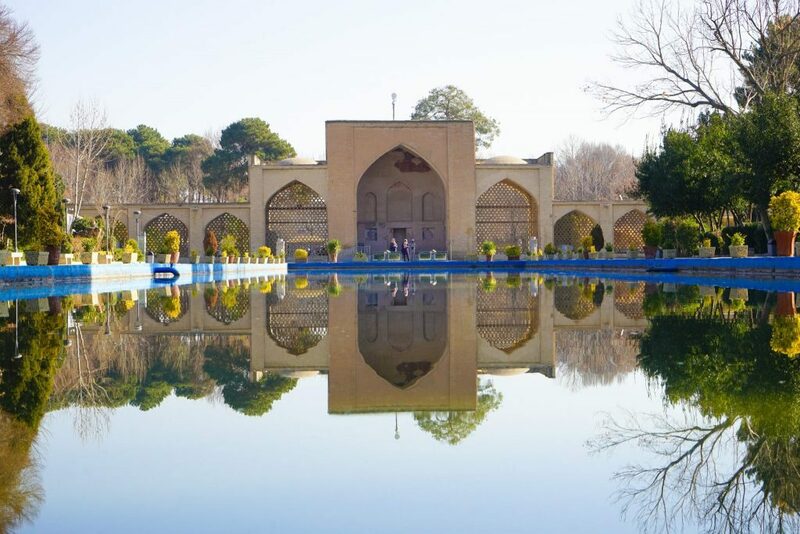 A beautiful garden and building complex from the Qajar period named after the oranges that line the central pathway. 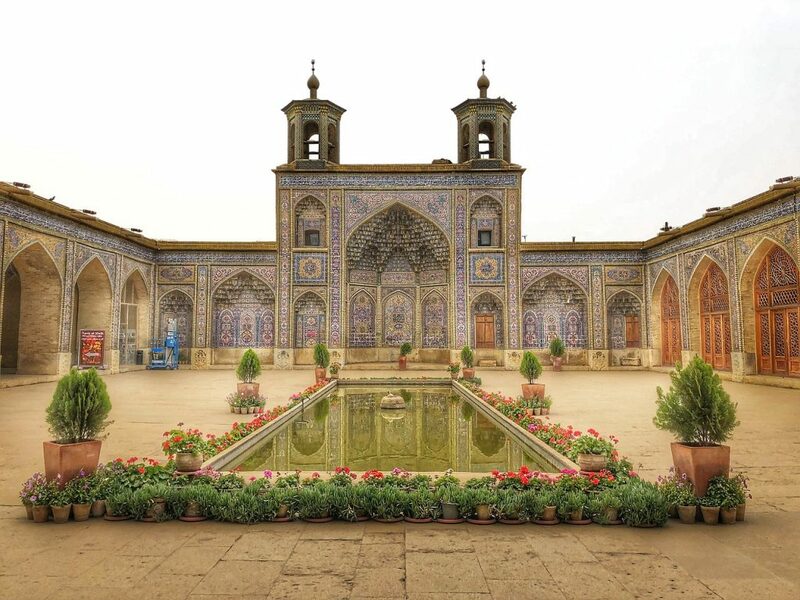 A typical – but rather small – Persian garden, the pavilion at the back is the main reason to visit with its beautiful stained-glass windows, mosaic patterns and risky European works of art. Best visited in full light, you will find it empty during most of the day and the palm-trees shade is perfect for sitting and reading or talking under. 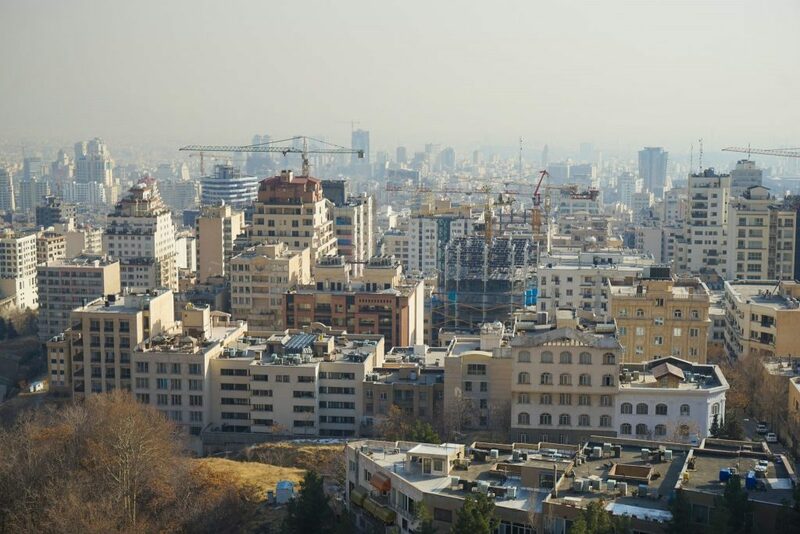 Borrowing from the current coffee trend sweeping Tehran, Shiraz has up’d its game for caffeine dispensing of late and a whole host of cool coffee shops have popped up overnight. 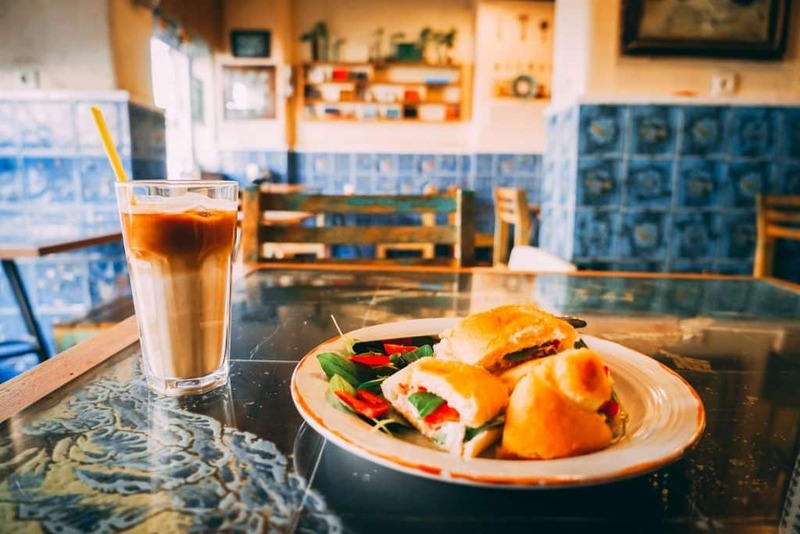 Perfect for travelers wanting to get to know students and local life, or just to get a good cappuccino – The Shiraz coffee shops and cultural evolution in progress and many more are expected to open up in the near future. 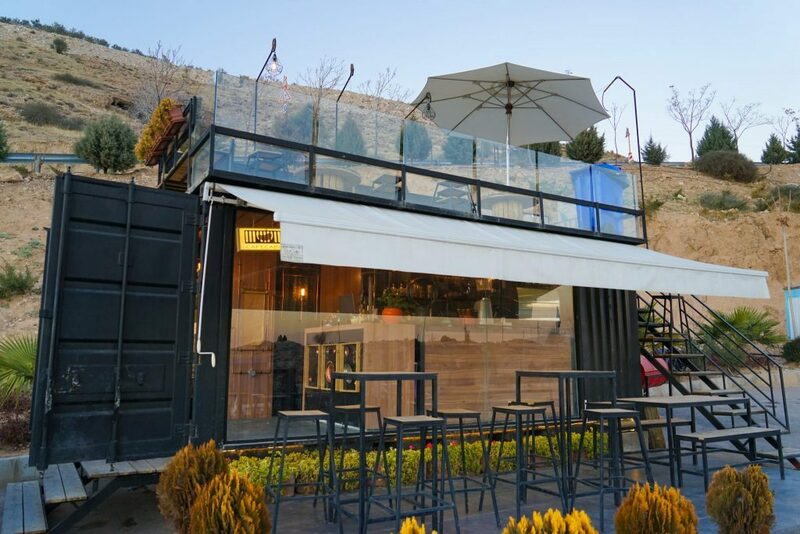 For now, you should check out the central Ferdowsi Cafe for relaxes vibes, or Cabin Cafe (a converted shipping container with skyline views) and Cafe Cup (a Starbucks / nightclub hybrid). 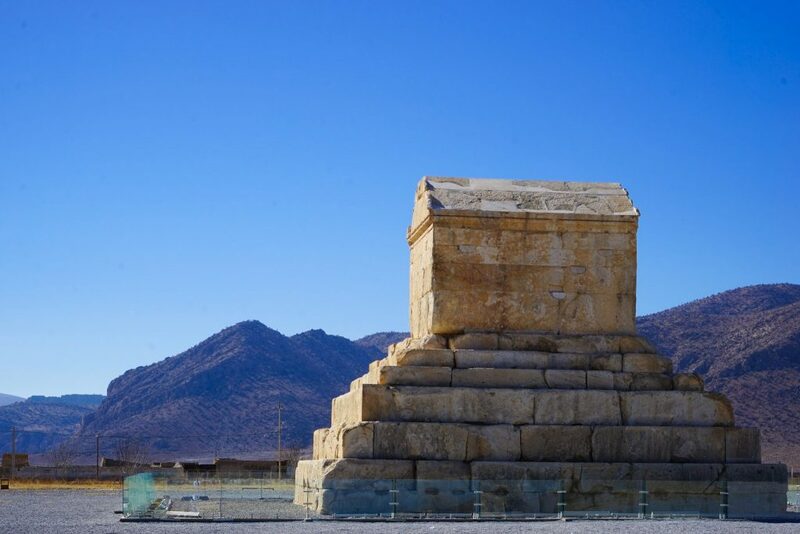 The ancient ruins of Pasargadae – built by the armies of Cyrus the Great in 546 BC – is often overshadowed by Persopolis. Let me be clear though, Pasargadae is worth a visit in its own right as it has UNESCO World Heritage Status and is located smack-bang in the middle of a flat, arid plateau. 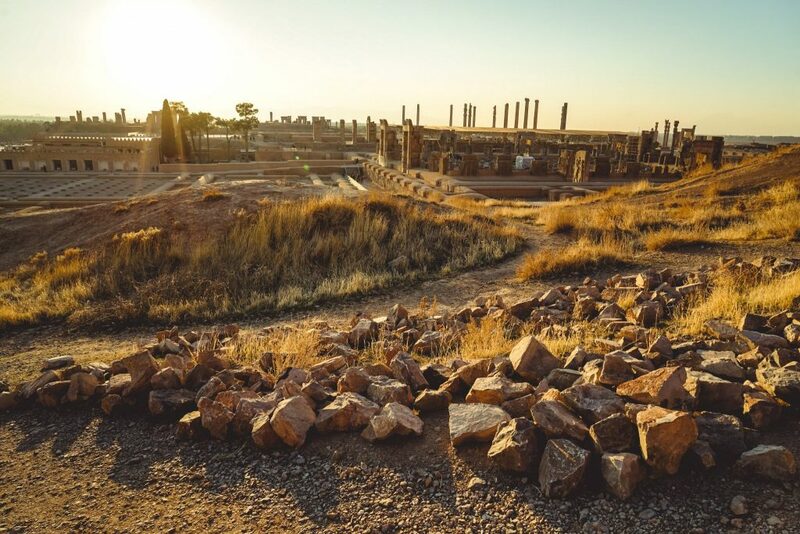 Big sky and big ruins await you here, and while the ruins of a different era might not be as impressive as Persopolis – this is considered to be the home base of the first world empire to respect and include cultural diversity…Almost 2,500 years ago! 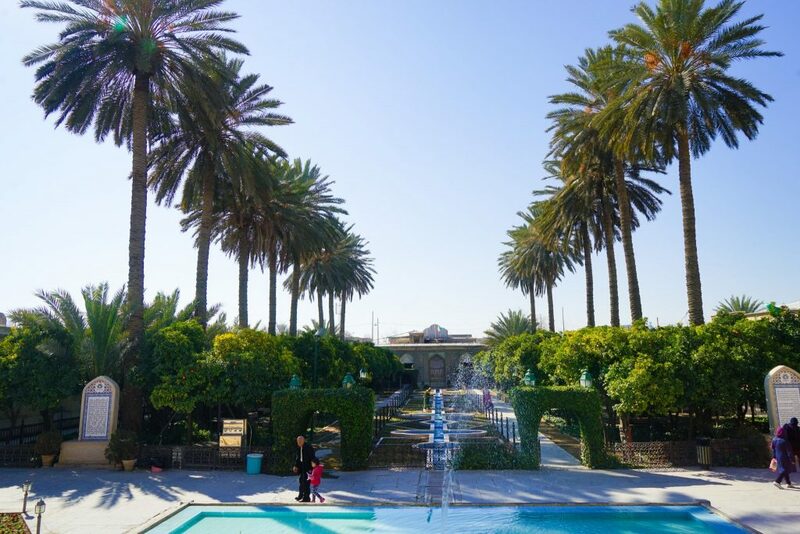 If you’re going to splurge on one hotel in Iran, the Shiraz Grand Hotel should be it. 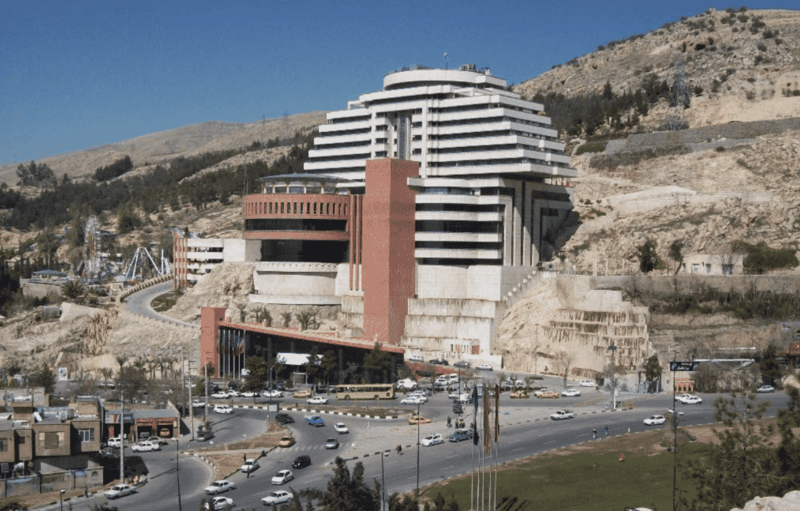 While the Shiraz downtown is a bit down-trodden and lifeless, the Shiraz Grand Hotel occupies an envious position literally carved into the rocky hillside with panoramic views of Shiraz which spread out below. 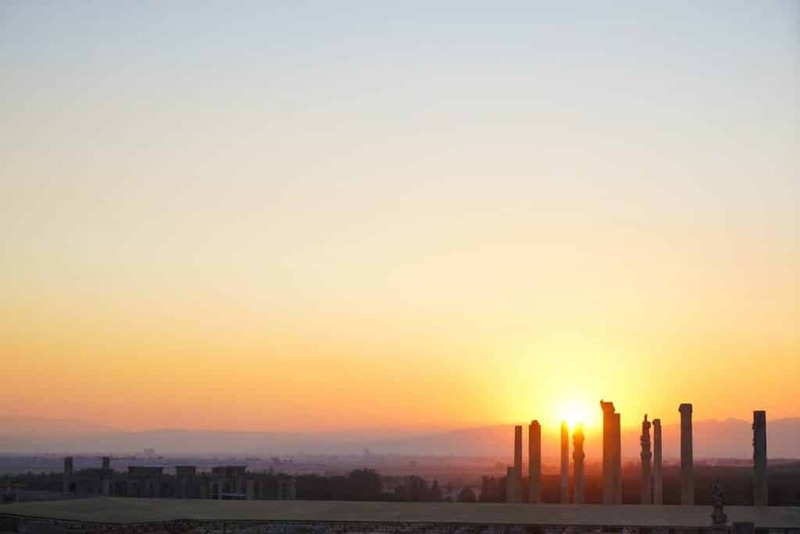 With an awe-inspiring design like no other hotel in Iran (or the world) guests here can enjoy modern amenities such as spa, pool and jacuzzi, an Insta-worthy rooftop terrace, luxurious rooms and a selection of modern and international restaurants. Only a few minutes walk from the Holy Quran gate to the city – there is truly no better Shiraz Hotel for your stay! 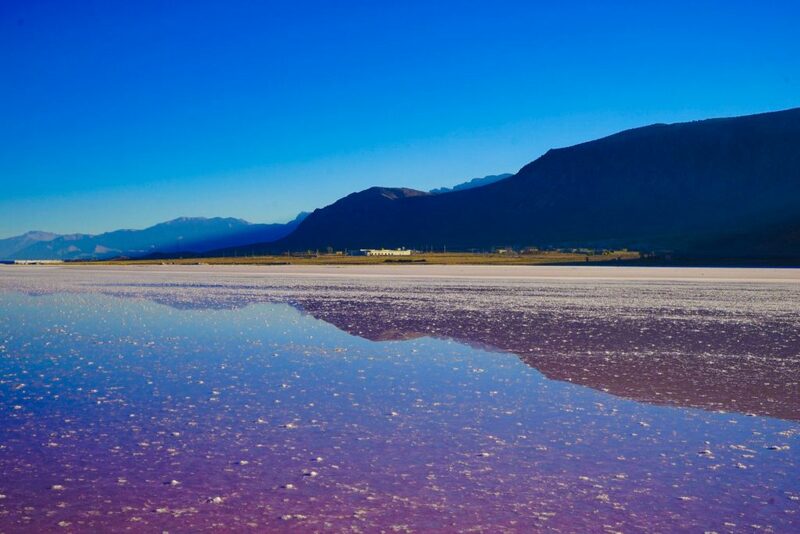 A seasonal-salt lake in the highlands around Shiraz, the Maharloo Lake is famously known as the Pink Lake of Shiraz due to the high salt concentrations that result in its brackish water in late summer. For the rest of the year, however, it is just a beautiful lake with a mountainous backdrop with stunning reflections and a great day trip from Shiraz that won’t break the bank! 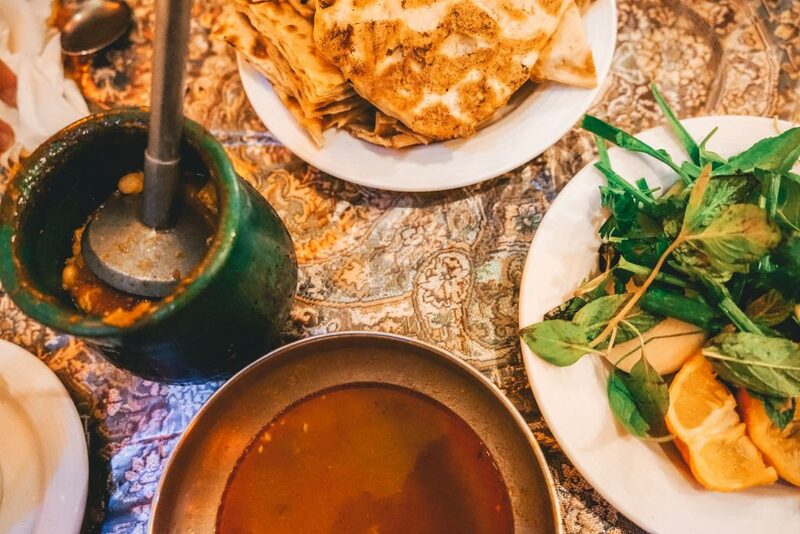 The most fashionable and luxurious dining in Shiraz, the Haft Khan Restaurant is a mega-complex with a different style of food and dining style on every floor. Surprisingly affordable, take your camera as you will want to get snaps of every floor though my personal favorite is the chic-white fit out downstairs with traditional Persian food and live music every night. There is also a cafe, a fast-food level and bread making in a traditional fire-oven on the top floor you really should check out. 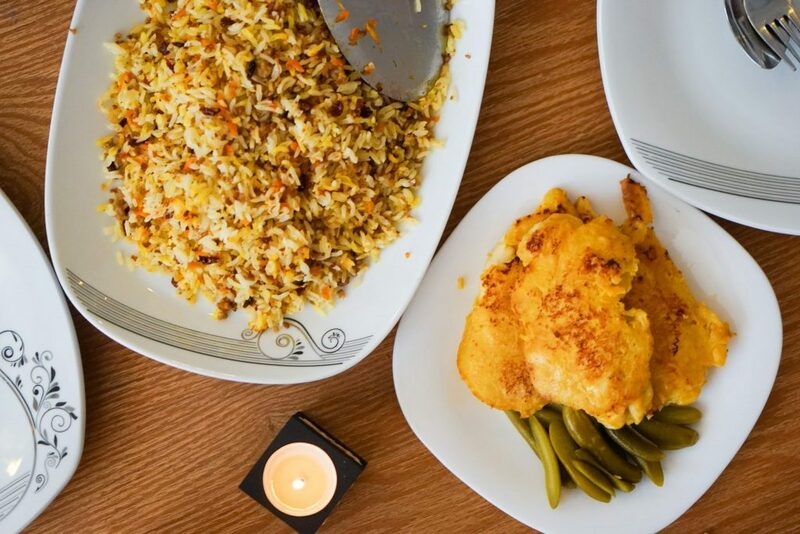 Perfect for a romantic meal or large groups of friends – this is one restaurant in Shiraz you will brag about to all your friends back home! 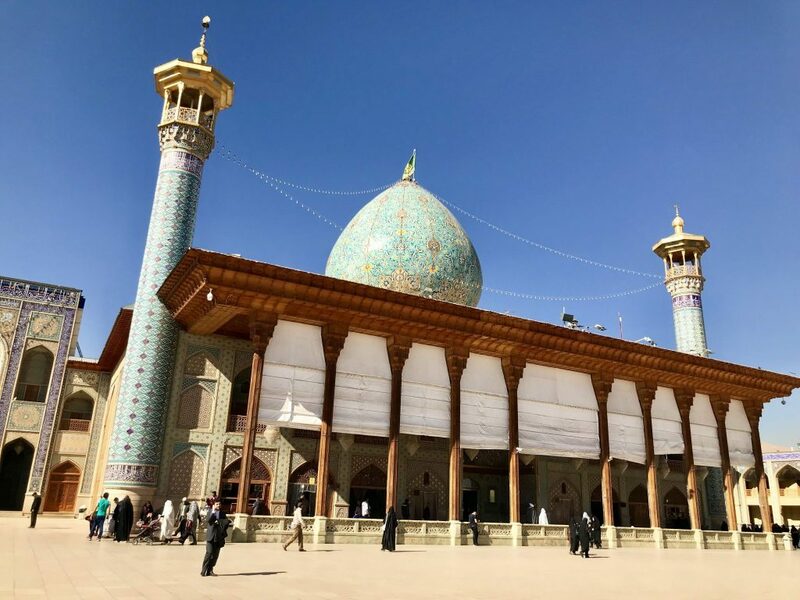 A stunning city-shrine dedicated to on of Imam Reza’s 17 brothers – you need to get in here to appreciate the blue-tiled domes and mosaic works in the Shite pilgrimage site – the 3rd most sacred in the country. There is a free tour guide available – but is rather useless and does not speak English well so you might want to go early before he starts and you are forced to use him. You must stow your bag (free) nearby, but if you can get in without a guide – or even better with a local – then you will be able to enter the glorious mirrors prayer spaces. Located in the center of Iran, getting to Shiraz is easiest via bus, train, and flight. 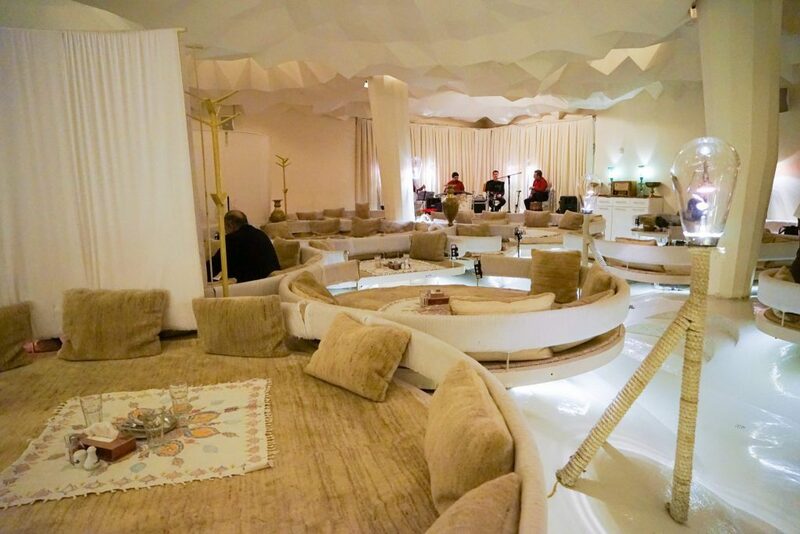 There are direct flights to Tehran daily, and weekly flights to Dubai. You can also find direct flights to most major cities in Iran at least once a week. 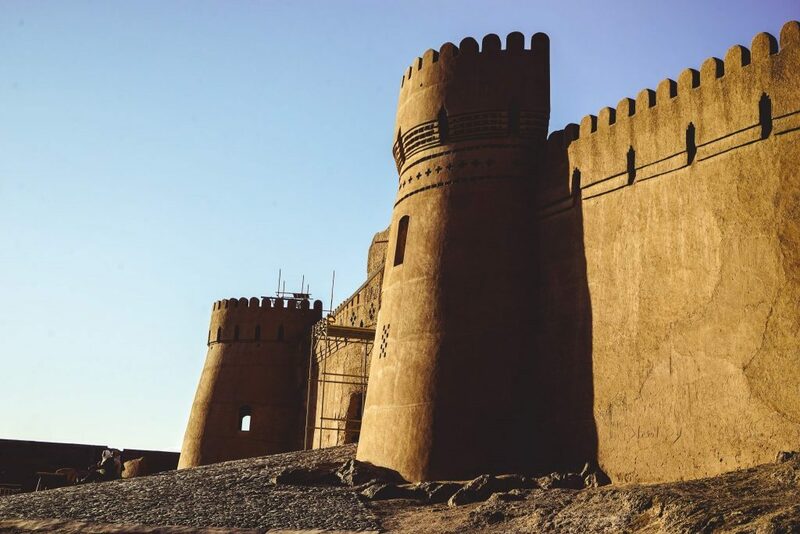 From Tehran, the overnight sleeper train is the best option and takes around 12 hours, or you could take a bus from Tehran and other cities in Central Iran including Isfahan, Yazd, and Kerman. As a major transport hub in Iran and the greater region, you should have no problem getting in and out of Shiraz. 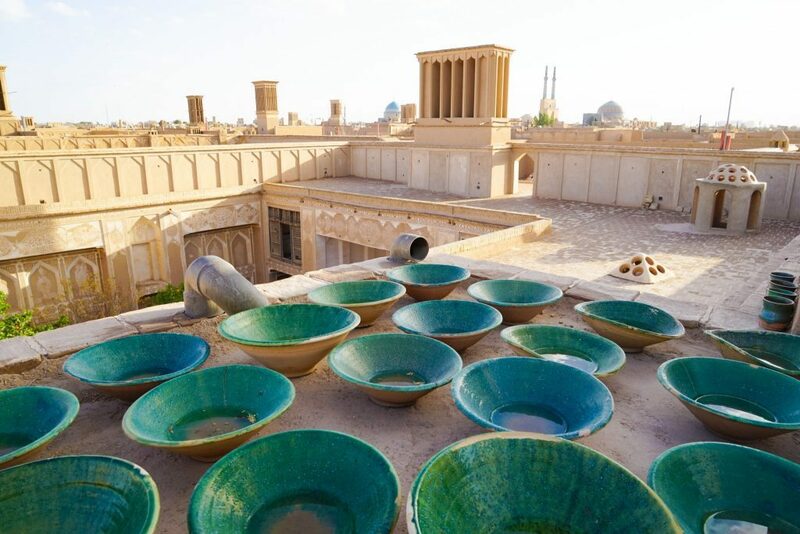 The bus station and train station are quite far out of town so you should book at the reputable travel agency in the Old Town to avoid a taxi trip, but if you are heading the Esfahan, Yazd or Kerman they might have some interesting – and affordable – day trip options to maximize your time! And if you want even more adventure – and to get out into nature while exploring where every our heart desires in Iran – why not consider hiring a rental car in Iran? 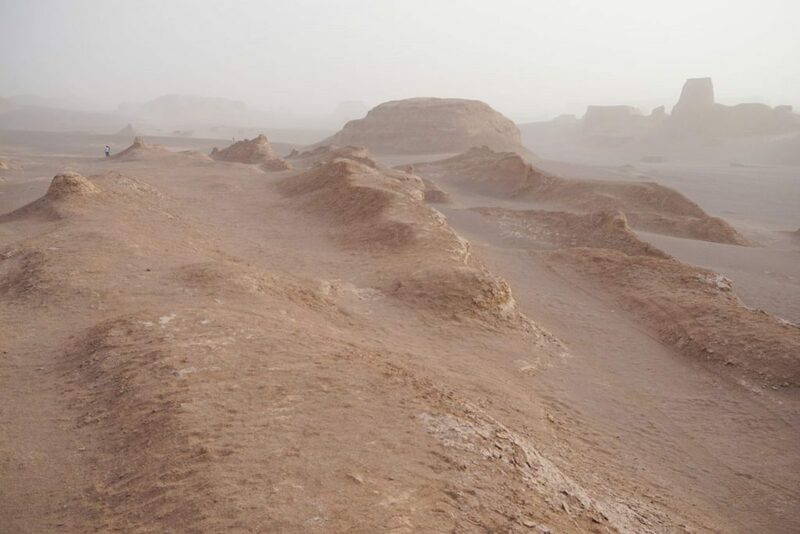 Kerman – A rather plain city surrounded by some of the best desert landscapes in Iran. 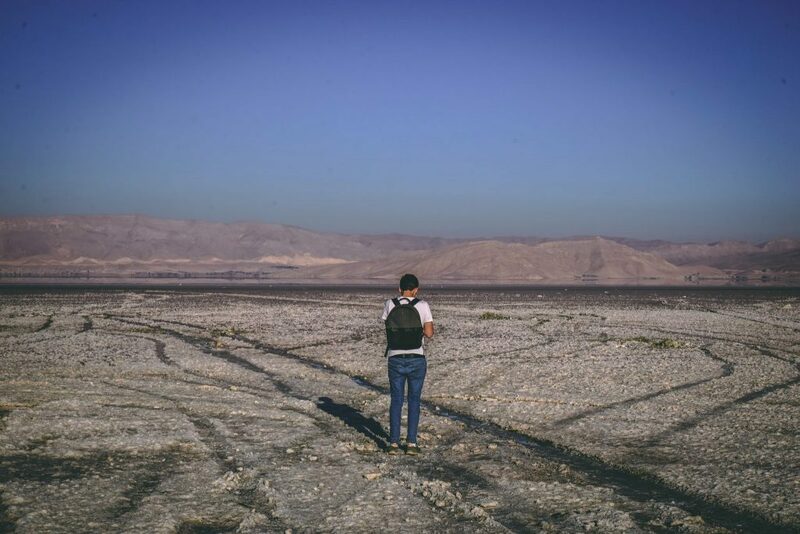 Get off-the-beaten-track and see Iran without the tourists with these 10 Things To See And Do In Kerman Iran. 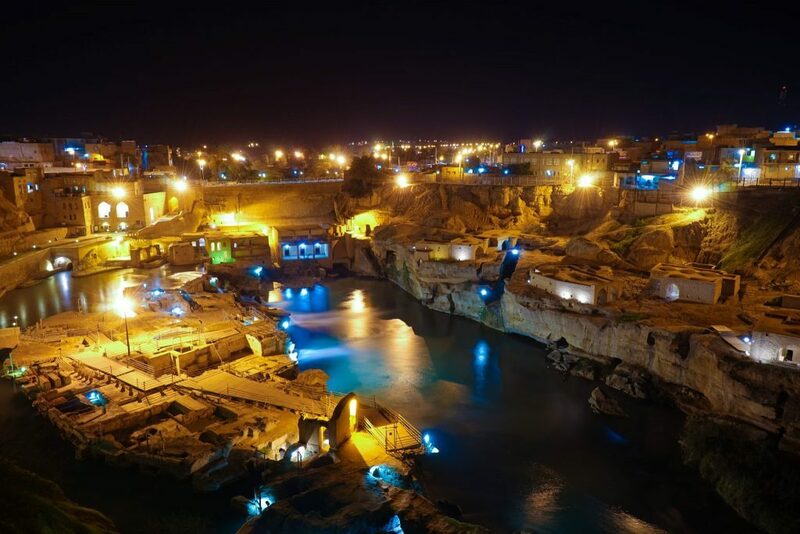 Shushtar – A hidden gem if ever there was one, Shushtar is really off-the-beaten-track but you will be rewarded by some of the friendliest people in Iran, incredible ancient structures and delicious food! Find out everything you need to visit Shushtar in Iran.